• Fed corals produce larger and heavier skeletons than unfed corals. • Corals maintained under elevated light conditions have greater energetic reserves. • Acidification reduces coral calcification, regardless of nutritional enhancement. • Acidification does not reduce coral size or energetic (total lipid) reserves. 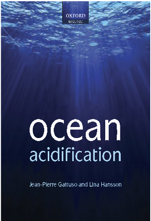 • Metabolic resources are not used to mitigate acidification impact on calcification. Ocean acidification (OA) threatens coral reef ecosystems by slowing calcification and enhancing dissolution of calcifying organisms and sediments. Nevertheless, multiple factors have been shown to modulate OA’s impact on calcification, including the nutritional status of the coral host. In three separate experiments, we exposed juveniles of the Atlantic golf ball coral, Favia fragum, to elevated CO2 and varied nutritional (light or feeding) conditions. Juveniles reared from planulae larvae were significantly larger and produced more CaCO3 when fed, regardless of CO2 level. However, corals subjected to elevated CO2 produced less CaCO3 per mm2 regardless of feeding condition. Additionally, unfed corals reared under elevated light levels exhibited lower chlorophyll a and higher total lipid content, but light had no significant effect on coral calcification. Conversely, elevated CO2 had a significant, negative affect on calcification, regardless of light condition but no detectable effect on physiological tissue parameters. Our results indicate that the sensitivity of juvenile F. fragum calcification to OA was neither modulated by light nor by feeding, despite physiological indications of enhanced nutritional status. This suggests that corals do not necessarily divert energy to maintain calcification under high CO2, even when they have the energetic resources to do so. • Higher pCO2 reduces growth of Pyropia yezoensis. • Higher pCO2 induces synthesis of phycobiliprotein and flavor amino acids. • Higher nitrate alleviates the negative effect of ocean acidification on growth. • Higher nitrate and pCO2 synergistically stimulate phycobiliprotein synthesis. • Higher nitrate and higher pCO2 synergistically stimulate amino acid synthesis. Pyropia yezoensis is an important marine crop in the world. We cultured it under two levels of partial pressure of carbon dioxide (pCO2) (408 (LC), 998 (HC) μatm) and nitrate (30 (LN) and 500 (HN) μmol L-1) to investigate the effect of ocean acidification on its growth and food quality under changing nitrogen supply. HC decreased growth rate of P. yezoensis under LN but did not affect it under HN. Phycoerythrin and phycocyanin were enhanced by HC, particularly at HN, which contributed to the darker color. HC stimulated the synthesis of sweat amino acids regardless of nitrate condition and umami amino acid only under LN. HN increased the content of umami amino acids regardless of pCO2 condition and sweet amino acids only under LC. Our findings indicate that future ocean acidification may reduce biomass yield of P. yezoensis but increase its color and flavor, which was regulated by nitrate availability. Atmospheric CO2 levels have been rapidly increasing since the 280 ppm (ppm-parts per million) found previous to the industrial revolution (IPCC 2014). In 2010 the atmospheric CO2 was ~380 ppm (IPCC 2014). In May 2018 the Mauna Loa Observatory in Hawaii reported 411.21 ppm of CO2 at the surface ocean (Mooney 2018). These rapid changes in the atmosphere also affect ocean chemistry. Surface ocean pH has been rather stable before industrialization over the last 800 000 years, averaging 8.2 at the surface water. Since the industrial revolution, the pH has dropped ~0.1 units, so the present day value is ~8.1 (Gattuso, Hansson 2011; Riebesell et al. 2010). Based on business as-usual scenario, atmospheric CO2 levels are expected to approach 800 ppm by the end of the century, which means that pH would drop further 0.3 to 0.5 units and reach 7.8 pH units (Feely et al. 2009, IPCC report 2014). Finally, the changes in ocean chemistry are not happening everywhere at the same pace. For example, in areas where the water temperature is lower, like the Arctic Ocean, CO2 levels and concomitant acidification is increasing more rapidly (CO2 dissolves better in colder water). This makes the Arctic one of the most efficient areas for the sink of anthropogenic CO2 in the global ocean (Slagstad et al. 2011). Ocean acidification (OA) and nutrient enrichment threaten the persistence of near shore ecosystems, yet little is known about their combined effects on marine organisms. Here, we show that a threefold increase in nitrogen concentrations, simulating enrichment due to coastal eutrophication or consumer excretions, offset the direct negative effects of near-future OA on calcification and photophysiology of the reef-building crustose coralline alga, Porolithon onkodes. Projected near-future pCO2 levels (approx. 850 µatm) decreased calcification by 30% relative to ambient conditions. Conversely, nitrogen enrichment (nitrate + nitrite and ammonium) increased calcification by 90–130% in ambient and high pCO2 treatments, respectively. pCO2 and nitrogen enrichment interactively affected instantaneous photophysiology, with highest relative electron transport rates under high pCO2 and high nitrogen. Nitrogen enrichment alone increased concentrations of the photosynthetic pigments chlorophyll a, phycocyanin and phycoerythrin by approximately 80–450%, regardless of pCO2. These results demonstrate that nutrient enrichment can mediate direct organismal responses to OA. In natural systems, however, such direct benefits may be counteracted by simultaneous increases in negative indirect effects, such as heightened competition. Experiments exploring the effects of multiple stressors are increasingly becoming important for improving our ability to understand the ramifications of local and global change stressors in near shore ecosystems. The subtropical oceans are home to one of the largest ecosystems on Earth, contributing to nearly one third of global oceanic primary production. Ocean warming leads to enhanced stratification in the oligotrophic ocean but also intensification in cross-shore wind gradients and thus in eddy kinetic energy across eastern boundary regions of the subtropical gyres. Phytoplankton thriving in a future warmer oligotrophic subtropical ocean with enhanced CO2 levels could therefore be patchily fertilized by increased mesoscale and submesoscale variability inducing nutrient pumping into the surface ocean. Under this premise, we have tested the response of three size classes (0.2–2, 2–20, and >20 μm) of subtropical phytoplankton communities in terms of primary production, chlorophyll and cell biomass, to increasing CO2 concentrations and nutrient fertilization during an in situ mesocosm experiment in oligotrophic waters off of the island of Gran Canaria. We found no significant CO2-related effect on primary production and biomass under oligotrophic conditions (phase I). In contrast, primary production, chlorophyll and biomass displayed a significant and pronounced increase under elevated CO2 conditions in all groups after nutrient fertilization, both during the bloom (phase II) and post-bloom (phase III) conditions. Although the relative increase of primary production in picophytoplankton (250%) was 2.5 higher than in microphytoplankton (100%) after nutrient fertilization, comparing the high and low CO2 treatments, microphytoplankton dominated in terms of biomass, contributing >57% to the total. These results contrast with similar studies conducted in temperate and cold waters, where consistently small phytoplankton benefitted after nutrient additions at high CO2, pointing to different CO2-sensitivities across plankton communities and ecosystem types in the ocean. •The growth of A. tamarense was influenced more strongly by CO2 than by N sources. •The toxicity of A. tamarense was influenced more strongly by the N than by CO2. •The toxicity of A. tamarense associated with the cell density was best fitted using a logistic function. •Zebrafish embryo had the detoxication systems to avoid the damage of A. tamarense. 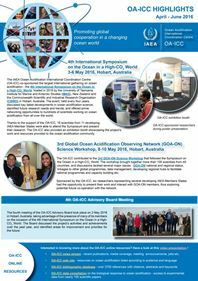 The effects and interactive effects of different nitrogen (N) sources (ammonium, nitrate, and urea) and carbon dioxide (CO2) concentrations were investigated on Alexandrium tamarense, a harmful marine dinoflagellate, by measuring its growth (μ), extracellular carbonic anhydrase (CA), and its toxicity to zebrafish (Danio rerio) embryo. The μ and CA were influenced more strongly by CO2 concentrations rather than by N sources; significant effects of CO2 on μ and CA were observed under low CO2 concentration (LC) conditions compared to high CO2 concentration (HC) conditions. The ammonium and nitrate media under LC conditions had the maximum μ and CA, which was inhibited under HC conditions. The embryotoxic effects were influenced more strongly by the N sources than by CO2 concentrations, thus excluding the lower deformation in urea under HC conditions. Moreover, the antioxidant enzymes superoxide dismutase (SOD), glutathione peroxidase (GPX), glutathione S-transferase (GST), and catalase (CAT) were detected in normal (untreated) zebrafish embryos, and among them, the level of SOD was the highest. In summary, this study provides a clear insight for understanding the effects and interactive effects of N sources and CO2 concentrations on the growth and toxicity of harmful dinoflagellates.